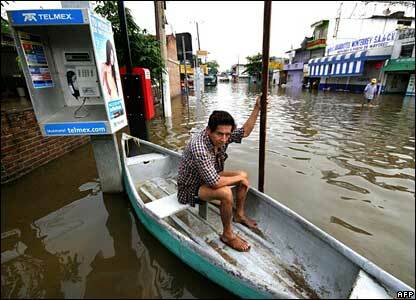 The Mexican state of Tabasco is suffering the worst flooding in more than 50 years after a week of heavy rain. 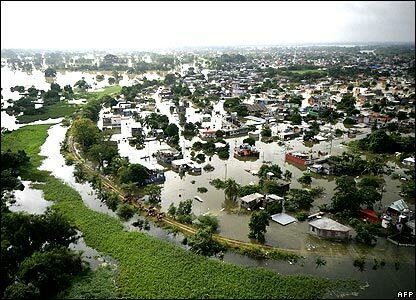 Some 70% of the low-lying state, including the capital Villahermosa, is thought to be under water. 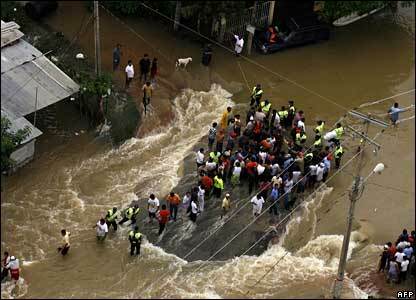 More than one million people are believed to be affected by the floods, with some 300,000 people thought to be trapped in their homes. 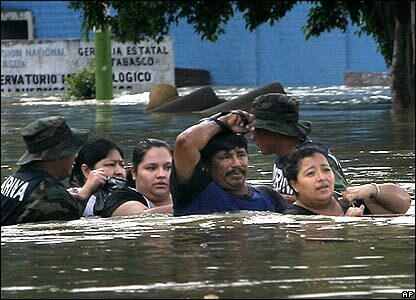 Residents rushed to get to safety as swollen rivers burst their banks and Villahermosa's streets filled with water. 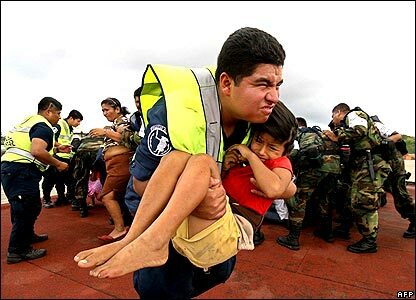 The state's governor, Andres Granier, has urged anyone who owns a boat to help the rescue operation. Emergency workers are also using helicopters to try to pluck people from rooftops. 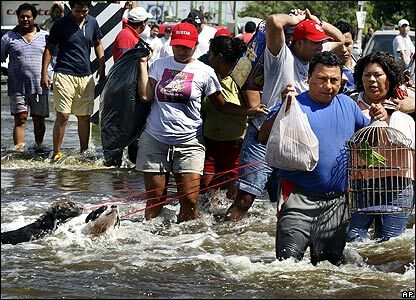 Those who have fled have been carrying what they can. Here a couple ensure their two dogs and parrot are not left behind. 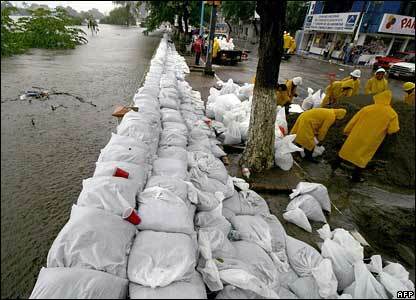 People have stacked sandbags in a desperate effort to stem the floodwaters. 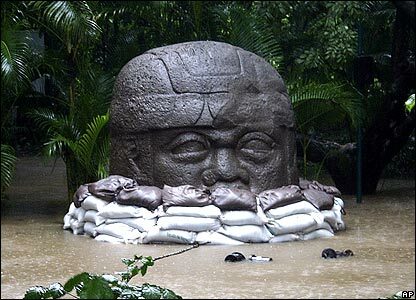 Sandbags were also placed around several giant heads carved by the Olmecs, an ancient pre-Columbian people, at Tabasco's La Venta archaeological site. 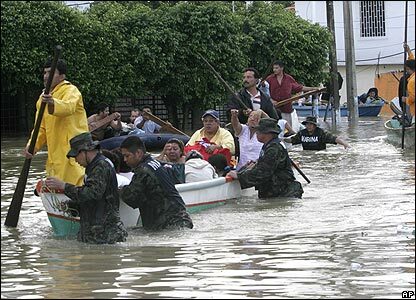 The federal government is sending more aid to Tabasco but, for some, the wait to be rescued continues.